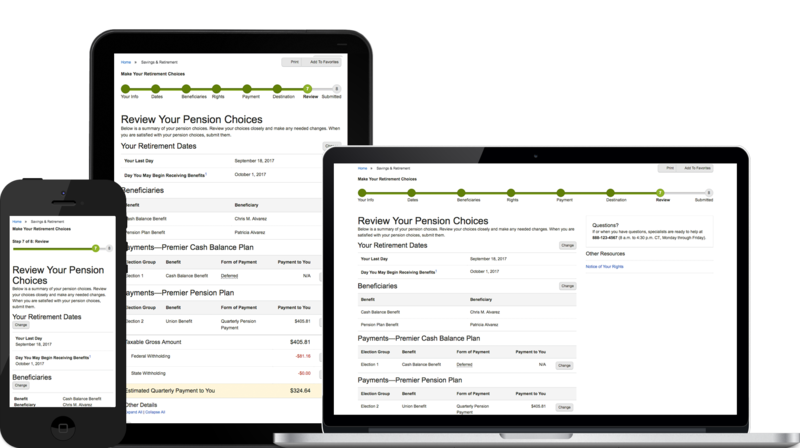 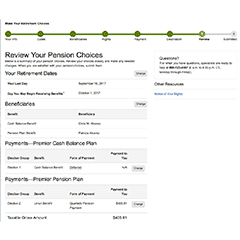 Re-design of an 8-step responsive web and mobile app for customers making pension payout choices, including payout locations(s), beneficiaries, legal sign-off, rollover amount (optional), payment type—e.g. 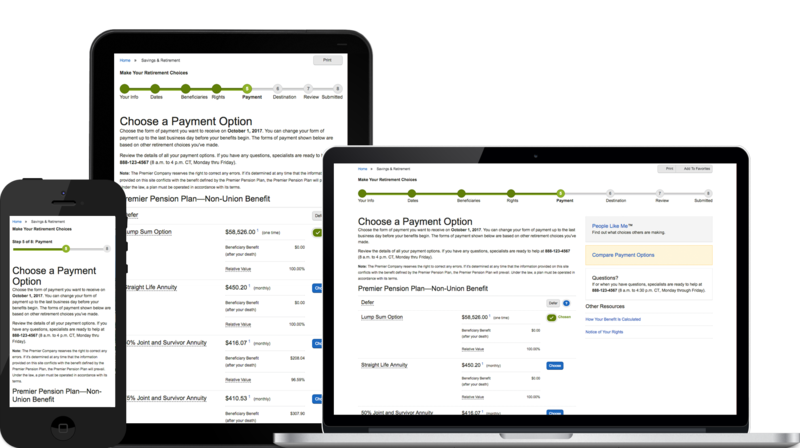 lump sum vs. monthly—and destination. 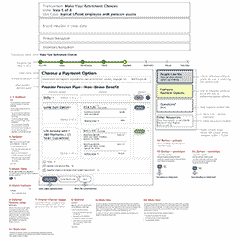 The design process included 15+ usability studies, with prototypes of the entire sequence for each test. 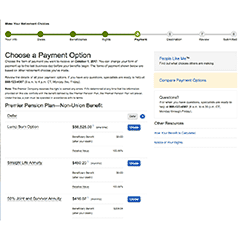 2 of the 8 steps are presented below.